Make an Emporio Armani g line trim fit birds eye wool suit and a grey paisley dress shirt your outfit choice for incredibly stylish attire. Try teaming an Emporio Armani g line trim fit birds eye wool suit from Nordstrom with a burgundy turtleneck to ooze class and sophistication. Rock a pair of white leather low top sneakers for a more relaxed feel. For a nothing less than incredibly stylish outfit, try teaming an Emporio Armani g line trim fit birds eye wool suit with a white dress shirt. 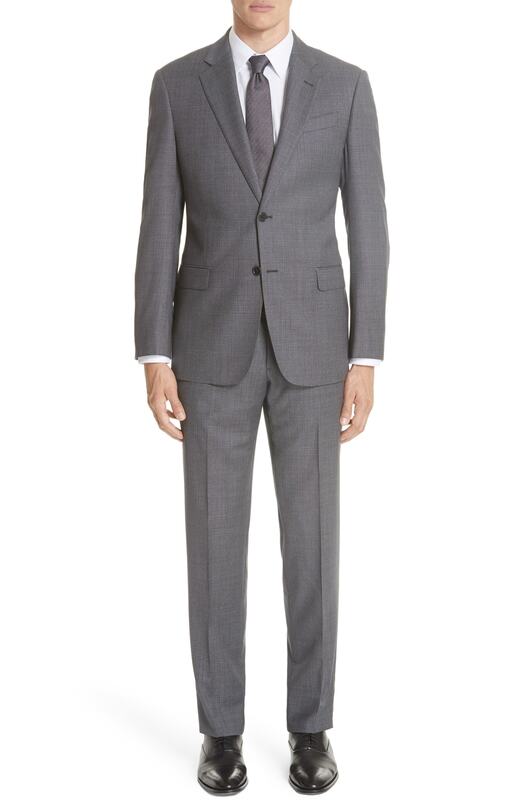 Marry an Emporio Armani g line trim fit birds eye wool suit with a white dress shirt to ooze class and sophistication. Complete this outfit with tan leather dress boots. 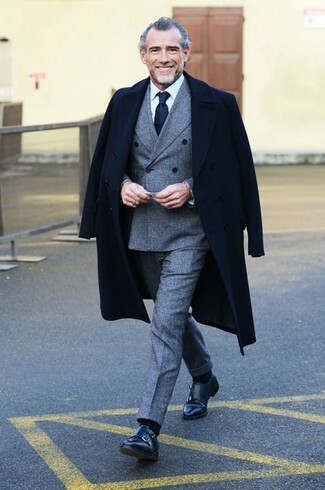 Try teaming a grey wool suit with a black overcoat for a sharp classy look. For something more on the daring side to complement this ensemble, rock a pair of black leather double monks. For a nothing less than incredibly stylish ensemble, choose an Emporio Armani g line trim fit birds eye wool suit and a light blue dress shirt. Something as simple as opting for an Emporio Armani g line trim fit birds eye wool suit and a grey plaid waistcoat can potentially set you apart from the crowd. For something more on the daring side to complement this ensemble, rock a pair of dark brown leather double monks. 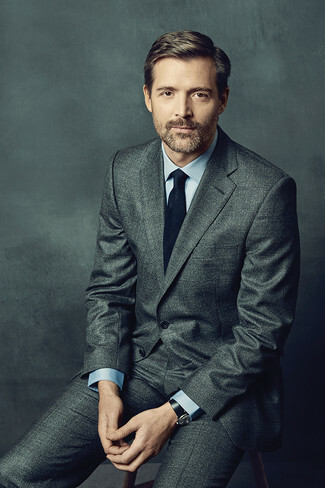 Consider pairing an Emporio Armani g line trim fit birds eye wool suit from Nordstrom with a grey plaid overcoat for a classic and refined silhouette. Want to go easy on the shoe front? Make dark green leather double monks your footwear choice for the day. 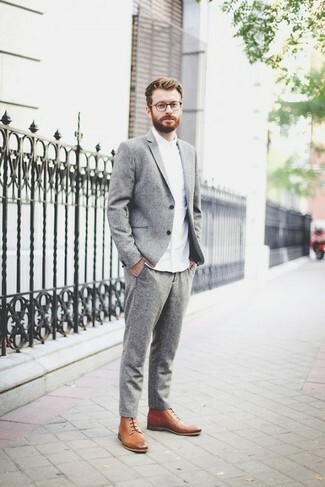 Wear a grey wool suit with a blue gingham long sleeve shirt for a sharp classy look. For something more on the daring side to finish off this look, opt for a pair of brown leather brogues.